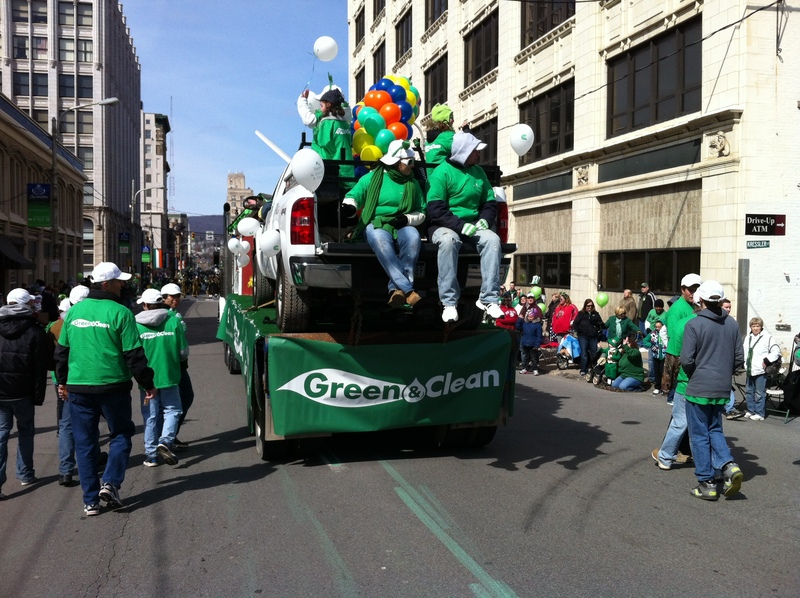 This past Saturday, Cabot & GDS employees teamed up with students and teachers from Susquehanna Career & Technology Center to create a float for the Scranton St. Patrick’s Parade. Despite the chilly temperatures (and at times snow!) 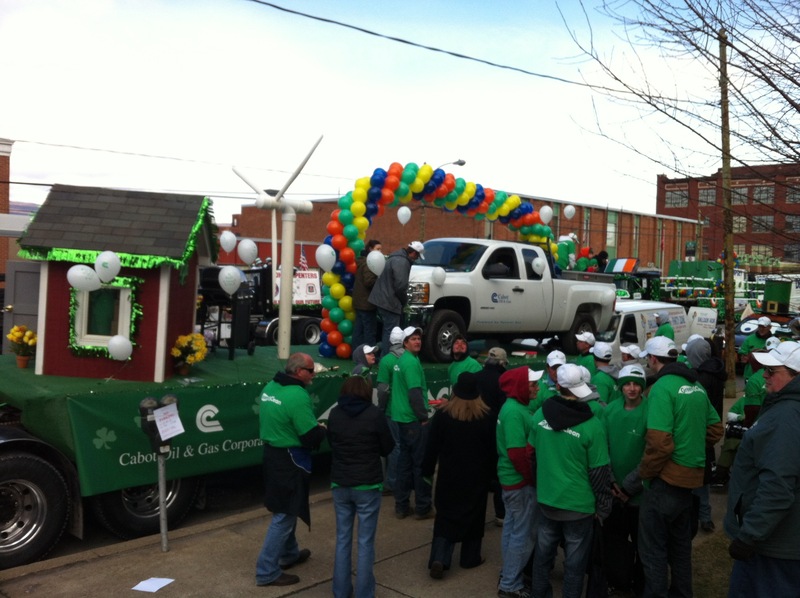 the float demonstrated some great “Green & Clean” ideas – from a windmill to a gas grill to a natural gas-powered pick up truck. Walking in the parade and handing out candy to the 150,000+ people in the crowd was a great time and we look forward to participating next year. …..A huge thank you to all of the students who participated in the event and made Cabot’s first appearance in the float one to remember! Visit our Flickr account to see all of the great photos from the day, including a bike-riding dog!